Respect. (You Make Me Feel Like) A Natural Woman. Rock Steady. These are just three of Queen of Soul, Aretha Franklin’s stunning 112 singles that charted on Billboard over her 61 year career. 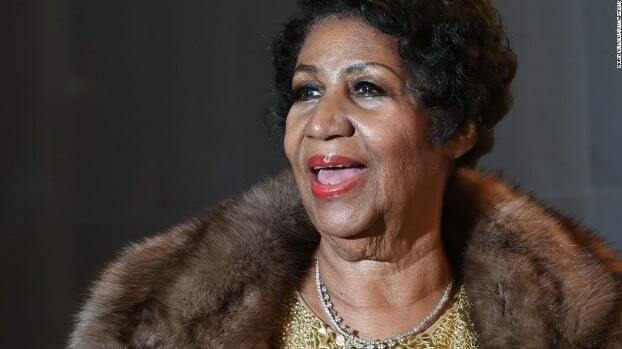 As a member of the Rock and Roll Hall of Fame, the UK Music Hall of Fame, and the GMA Gospel Music Hall of Fame, Franklin has earned her place on the 100 Greatest Artists of All Time, but like all good things, her career is nearing an end. With plans to release an album with Stevie Wonder in 2017, Franklin expects to retire once the record is released. Franklin was born to a musical family in 1942, and by the time she hit her teens, she was travelling the south with her father’s gospel revival show. Her voice and talents at the piano quickly became the highlights of these performances, which led to her first record deal with J.V. B. Records. The album, Songs of Faith, spoke of her background and received heavy rotation at national gospel radio stations. While on tour, she met her heroes, like Sam Cook and Mahalia Jackson as well as chart-topping contemporaries like Duane Allman and Eric Clapton. By the late 60s, she had hit her stride and recorded the famous album, I Never Loved a Man (The Way I Love You). It was this record that showcased the karaoke anthem Respect, as well as Chain of Fools, (You Make Me Feel Like) A Natural Woman, and I Say a Little Prayer. The 70s continued with success for Franklin, as she released such acclaimed albums as Sprit in the Dark and Young, Gifted & Black. Like many artists before and after her who reached immense success at an early age, Franklin hit hard times during the 80s at which point she struggled with weight and addiction issues. But that doesn’t mean she wasn’t away from the scene while she defeated her personal demons. Both the 80s and 90s saw her recording chart topping albums and winning the Grammy Lifetime Achievement Award. By the new millennium, she founded her own record company, Aretha Records. She also played at Obama’s 2009 presidential. In March of this year, she celebrated her 75th birthday while collaborating with Stevie Wonder on her (supposed) last album before she retires. Franklin has enjoyed an illustrious career that’s spanned a lifetime, during which she’s inspired millions of artists around the world. You can hear her in the biggest voices of today, including Alicia Keys, Jennifer Hudson, and Queen B. And if you’re just hearing Aretha belt out Nessun Dorma for the first time, then you might just be inspired to head to the music store in your area to check out the pianos available or sign up for vocal lessons. Her impressive career, impressive vocals, and astounding number of singles are why she’s one of the greats. Though her retirement is imminent, her presence will be felt for decades after she stops singing for good. As the original performer of Respect to the collaborator with Babyface and Danger Mouse and everything in between, Franklin’s 6-decade long career is a legacy in the works.